Art plays an important part in the overall life of Steephill school. Every day, the lives of all the school's pupils are enriched, their creativity stimulated and their understanding of the world deepened through the enjoyment and appreciation of art. 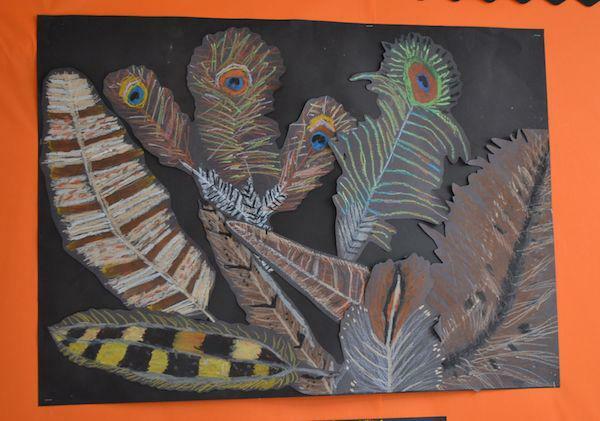 Steephill school is extremely proud of the stunning art work that its pupils produce every term. This high standard has earned them art scholarships to other schools and awards in national competitions. The beautiful setting and surrounding rural areas of Steephill school provide inspiration and stimulation for the children. They are often engaged in artwork in the outdoors, either basing their work on the countryside or using natural materials such as sticks and branches to produce their own collages and sculptures. The school also has a dedicated art room from which pupils can make use of a wide range of materials and learn and explore a range of techniques. The pupils take part in workshops given by local artists and also study the works of artists from around the world, both past and present. There are many opportunities outside the class lessons for pupils to develop their understanding and appreciation of art and its related skills. The school runs many clubs during the lunchtimes which cover a range of areas such as painting, printing, photography, collage, sculpture, textile design, knitting, weaving and sewing. School trips to museums and art galleries are undertaken each term where pupils can experience first hand the great works of art that we have on display in this country. The school encourages its pupils to develop portfolios of their work and actively supports them in applying for art scholarships to independent secondary schools. Steephill did brilliantly in the recent ISA Regional (London South) Art Competition (2015). The Lower School Printing Club came in 1st place for their 2D Group Art Work; Eva from Class 2 got 1st place for Individual Textiles with her owl cushion and Sasha from Pre-School also got 1st place for 3D Individual Art with her ‘busy bee’ sculpture. The Pre-School came in 2nd place for Group 3D Art with their dragon collage. In 2012 the school was extremely proud when one of its pupils, Isabella Wignall, was awarded an art scholarship to Combe Bank School in Sevenoaks. In 2011 she was the winner of a competition to design a new map for the end pages of "The Boy Who Fell Down Exit 43" by Harriet Goodwin. 2006 3rd place KS2 2D Art. "Aboriginal design." 2007 2nd place KS1 3D Class 2. "Shape, Space and Texture" collage. 2008 3rd place KS2 3D "Collage" inspired by Monet's "Irises". 2009 3rd place KS1/KS2 Sketchbook. 2010 1st place 2D Art Still Life "Study in Blue". 2010 2nd place KS1/KS2 Textiles. "Weaving." 2011 1st place KS1 2D Art. "Lowry Landscape." 2012 1st place KS2 2D Art. "Still Life Study". 2013 1st place KS2 2D Art. "Metamorphosis" inspired by Max Ernst.